We recently ran a three-day study tour of The Netherlands to look at the latest developments in greenhouse technologies. When we got back, we listed the top tech that made us excited about the future of robotics and automation in horticulture. This robotic arm can autonomously select and harvest ripe sweet peppers, moving up and down crop rows on a mobile unit. It uses a series of moving cameras to create a 3D image of the plants and fruit and combines with colour spectral imaging senses to monitor the ripeness of the fruit. The robot requires ‘deep-learning’ or extensive training to understand how to find the fruit within dense crops and to identify where best to cut, all working in real-time. 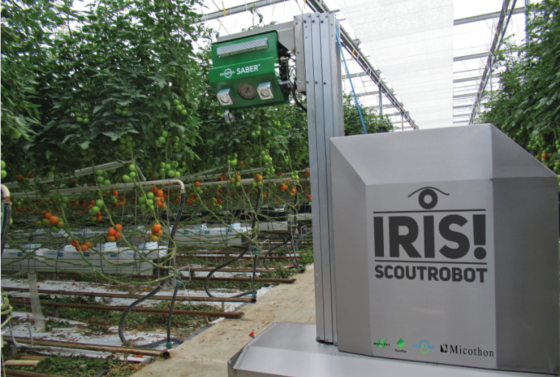 Winner of the GreenTech Innovation Concept Award 2018, this scout robot can be used to detect pests, disease and nutrient deficiencies in pepper and tomato crops. It can also count fruits, assess their colour and measure their size to predict yields. The sensors can also measure microclimates in different parts of the plant canopy. 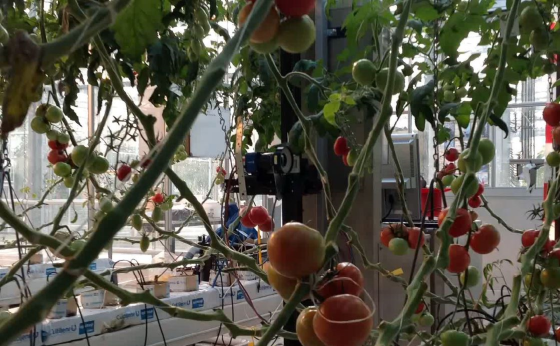 Another scouting robot, the PhenoBot scans tomato crops in glasshouses and, using a 3D lightfield camera, can predict the number of fruits per plants and measure the quantity and weight of harvested fruits. This knowledge could help better inform customers with yield information. PhenoBot can also detect botrytis symptoms using chlorophyll fluorescence measurements and directly target fungicides to affected areas. Funded by the EU, this project is looking to prototype the first outdoor garden trimming robot. Using robotics and vision technologies, the TrimBot2020 will be able to navigate autonomously avoiding obstacles over varying garden terrain. It will then trim rose bushes, hedges and boxwood topiary to restore them to their ideal shape. The robot will be based on a modified commercial robot lawn mower, which will navigate using a user-defined garden map and 3D scene analysis, and then visually direct an electric plant cutter. With the ability to predict the true shelf-life of fresh produce, by monitoring product quality throughout the cold chain, these low-cost wireless sensors could significantly reduce food waste. The sensor chips measure temperature, relative humidity and light, which is plotted against shelf-life models for fresh produce like strawberries, avocados and roses. The project hopes to move from stock management that is first-in, first-out in to a smarter way of managing produce, ‘first expired, first out.’ This should lead to a better customer experience. 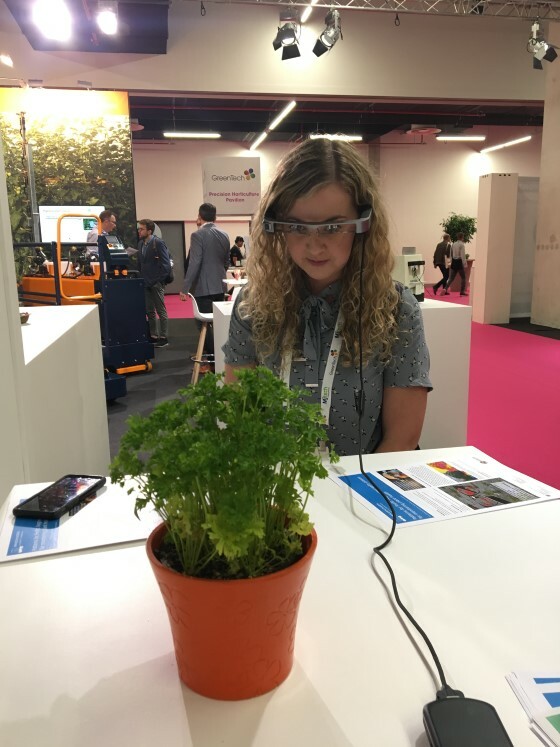 This eyewear could revolutionise crop walking, by using augmented reality to monitor plant health. 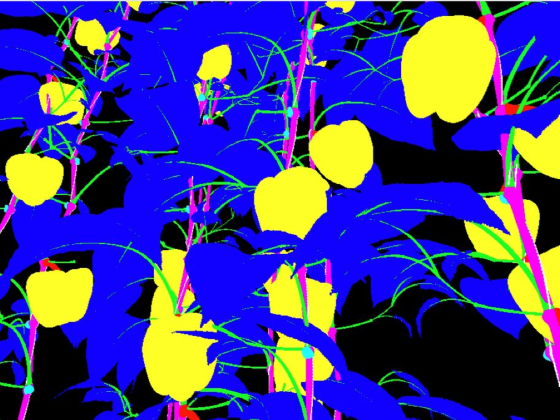 Using reflectance at specific wavelengths in the visible and near-infrared range can enhance the contrast between healthy and unhealthy plants. The special camera on these glasses can calculate the difference and overlays this on the scene you are looking at. 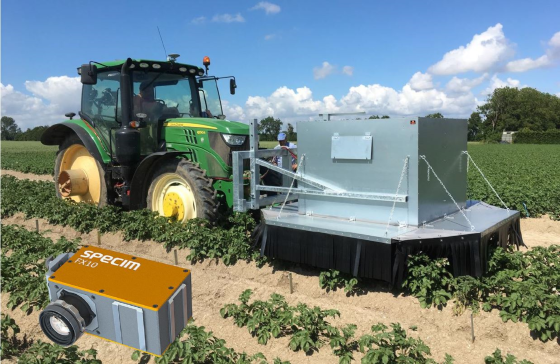 Using cutting-edge hyper-spectral imaging, this camera can find diseases early in seed potatoes when symptoms aren’t visible to the human eye. Based on a few images, a classifier is built to distinguish between stem and leaf disorders. With the ability to adapt the packaging of food to the product or batch size, this automated packing system could significantly reduce both waste of food and packaging materials. The adaptive packaging module has flexibility in terms of package, shape, size, sealing and printing. It also has the ability to assess product quality and then sort and separate to the right package or crate. Robots that offer decision support systems are being developed to help give growers plant scale information on a large scale. 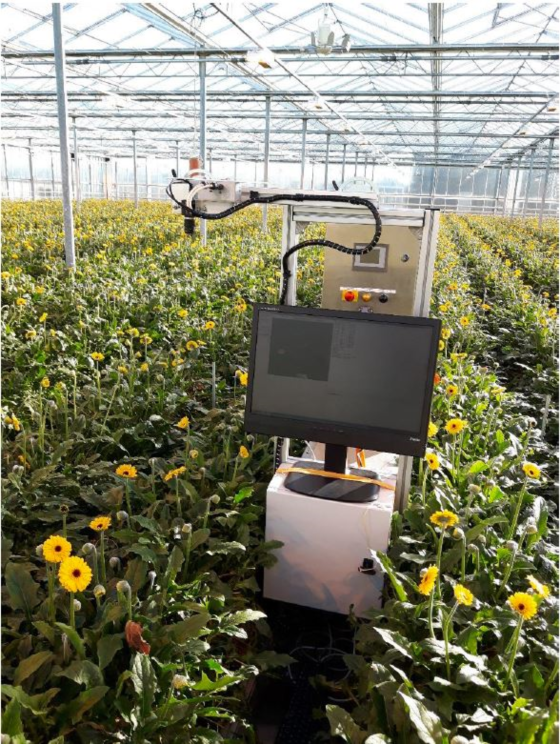 This scout for Gerbera crops uses high tech sensors and data management systems to monitor crops for growth, pests and diseases. Near-infrared image cameras can detect powdery mildew and image analysis can predict bud and flower yields to aid cut-flower production. 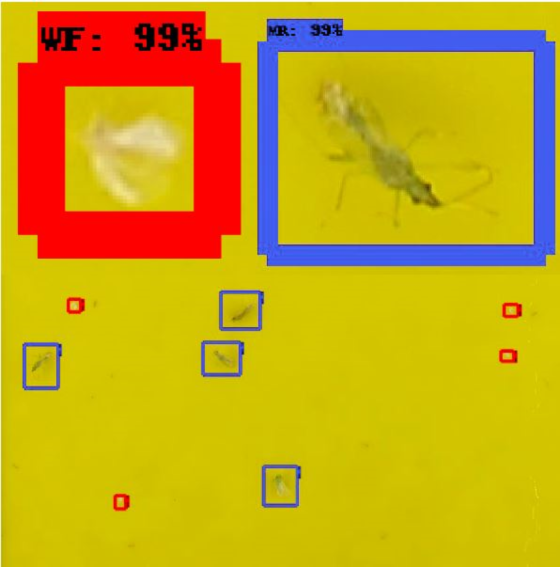 Using deep-learning image analysis networks, where the computer learns to detect different pests and images by itself after initial training, this system can automatically count white fly and beneficial insects trapped on yellow sticky traps. The study tour to The Netherlands was part of AHDB’s SmartHort project, tackling the issue of access to affordable labour by improving management practices and facilitating the uptake of new technologies.